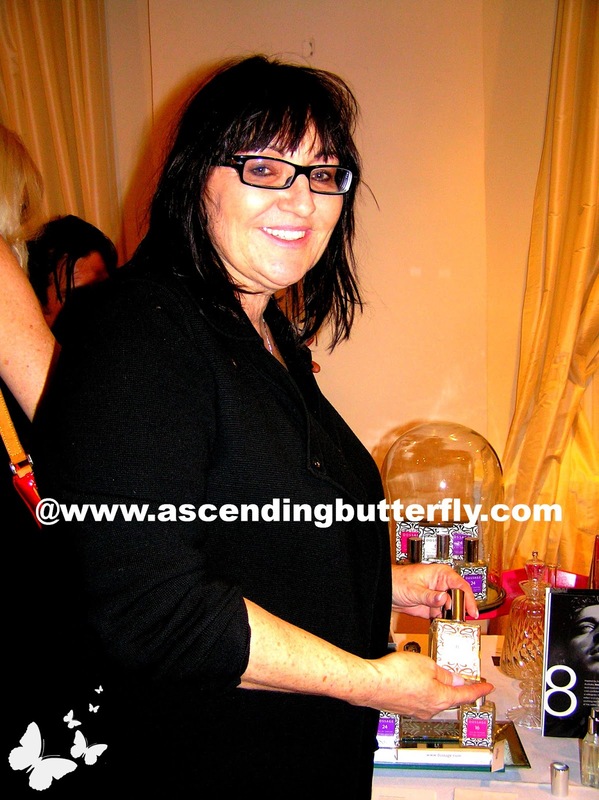 Ascending Butterfly: Highlights from January 2013 @beautypress Spotlight Day! 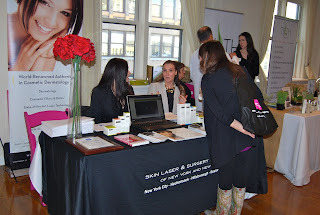 Highlights from January 2013 @beautypress Spotlight Day! The fourth edition of the beautypress Spotlight Day, a press-only beauty product showcase featuring niche and specialty brands brought over 120 media guests to connect with 11 exhibiting vendors, which is double the amount of participants since the premier event three years ago! 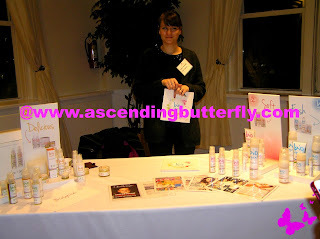 Much like the last BeautyPress Spotlight Day that I covered (you can read that recap HERE), this one introduced me to quite a few brands that were entirely new to me, and that's one of the things that excite me most about the event. Journalists, bloggers, and beauty enthusiasts gathered at the stylish Midtown Loft and Terrace to discover new product offerings from niche and specialty brands. In addition to new product finds, guests also received a posture evaluation from the Wellness Center of NY, while sipping on artful tea creations by Le Palais des Thes, a French brand of premium tea that offers all-natural signature flavors and snacking on healthy chocolate treats from Antidote, a new brand of health-inspired raw chocolate with bold and unique flavor combinations. 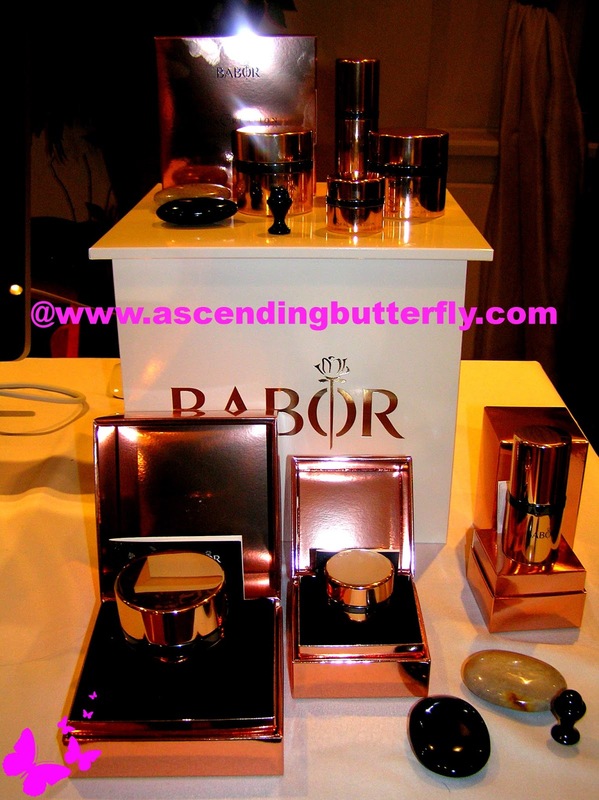 BABOR: The BABOR brand is a luxury skincare and cosmetics brand. Combining state-of-the-art scientific knowledge with natural formulations, each line is created with unique ingredients yielded from the most exceptional environments across the globe including volcanoes, arctic berry fields, orchards, and oceanic fissures. 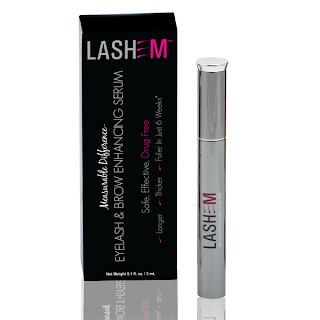 Not only are the products highly effective, but they are also extremely compatible with the skin. 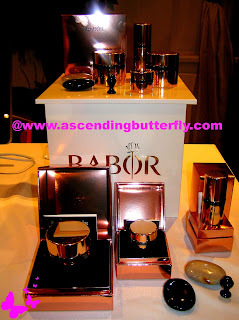 At BABOR Cosmetics, clients are taken on a seduction of the senses within each product. BABOR is the leading, professionally sold and recommended skin care system in Continental Europe and recognized as one of the most trusted brands in the industry today. Dossage Fragrances: Dossage Fragrances collaborated with the finest luxury fragrance house to develop distinct scents with complimentary notes. The only mandate we insisted on was for a fragrance to be worn by the client in a subtle way. This is luxury. We believe you should wear the scent, the scent should not overtake your presence only enhance it. Our other specification was inspiration from world travel. 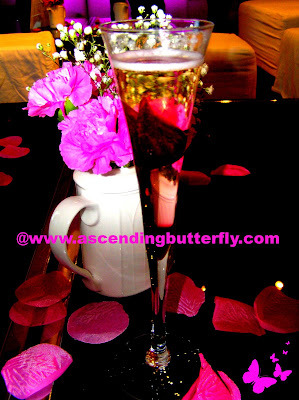 The fragrances all compliment each other and there is a little bit of each scent in all of us! The balance of scent and the addition of a mood enhancement agent is present in all of our fragrances. Not only are your senses heightened ……your spirits are lifted as well. Pictured above is Dossage Fragrances CEO Tara Durkan, the fragrance, the story behind it and the Dossage crew made a huge impression on me, and I am going to re-visit them for a more detailed review post, my standouts were Dossage 8 for him and her! I know scent is very much subjective and what one person likes another may or may not, and if you notice, I don't do a ton of collaborations when it comes to fragrances, I'm incredibly picky and they are just something that have no grey for me, I either like it or I don't. I LOVE these, so you will see more posted about this brand for sure! 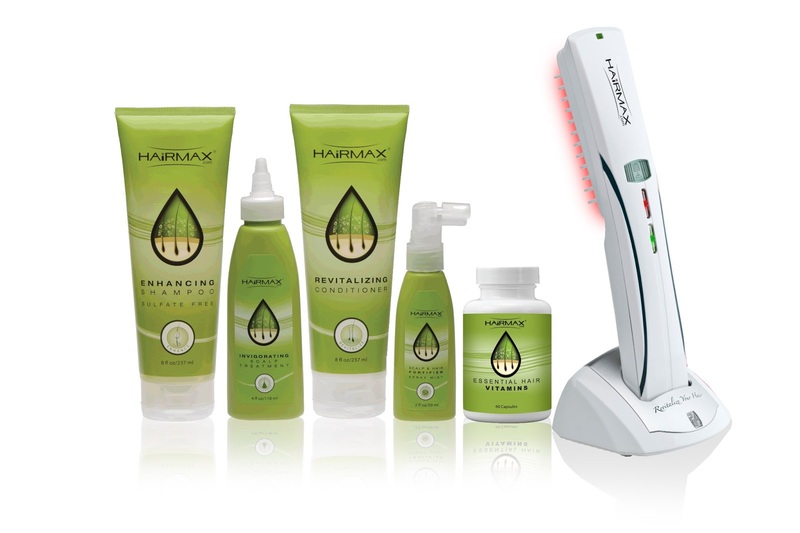 HairMax: Lexington International is the manufacturer and developer of advanced laser phototherapy devices for home use. Since its founding in 2000, Lexington International’s mission has been to provide the most advanced hair loss treatments and hair care products. The company’s premiere product, the HairMax LaserComb, is the first and only laser phototherapy medical device FDA Cleared for home-use to treat hair loss and stimulate hair growth in men and women suffering certain class of hereditary hair loss. Sold in in over 165 countries worldwide, Lexington Int., has helped hundreds of thousands of individuals treat their hair loss and promote hair growth. (And if any of you are like me, and think that these are 'hot' to the touch or would burn your scalp, I just want you to know it's NOT hot, you feel no heat when you touch it, and it will not burn your hair or scalp. Merlot Skin Care: Merlot Skin Care is a natural grape seed-based brand that utilizes antioxidants to fight free radicals, the particles that routinely damage our skin. 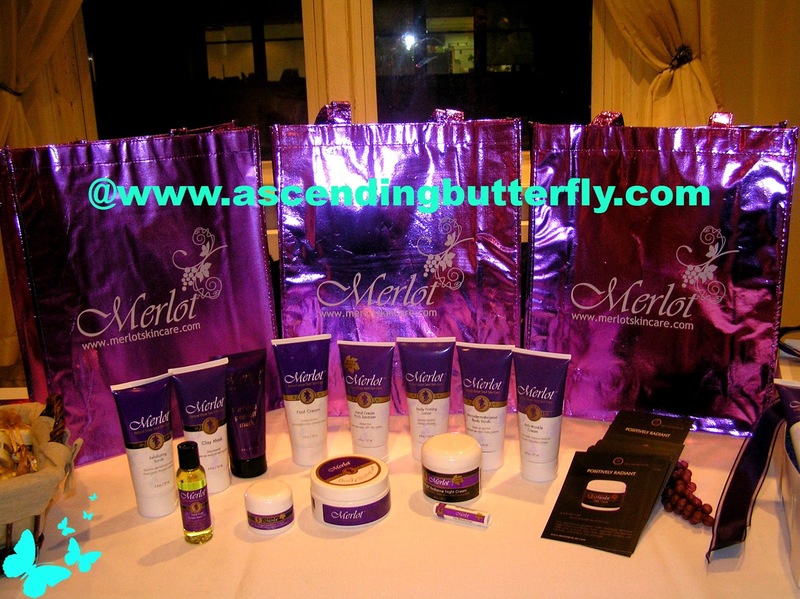 Merlot is a privately-held, family-run brand committed to innovative skin care products. Founded in 2001, Merlot Skin Care products are available at Walgreens, Drugstore.com, and on their website as well! 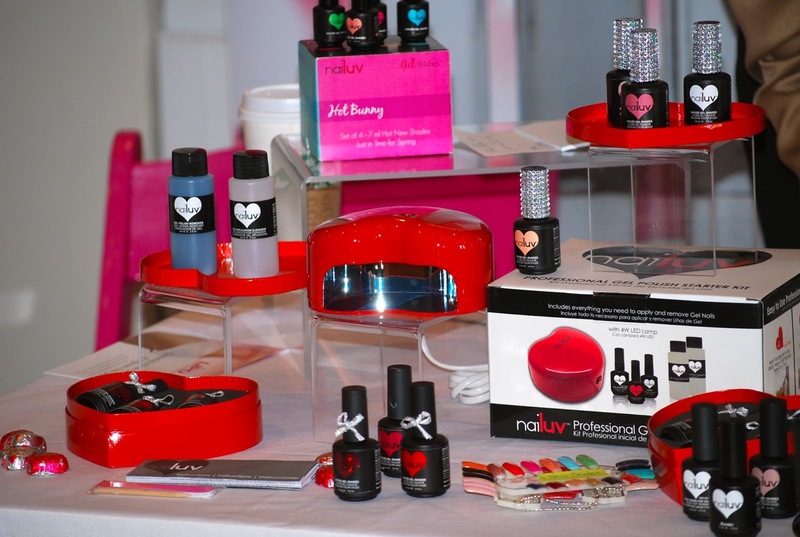 NaiLuv: NaiLuv is all about nail love! Born out of a passion to create and offer the best and the latest in nail fashion and technology, NaiLuv is committed to providing quality, safe and fashionable nail products. Every NaiLuv product is made with love. Each formulation undergoes a rigorous product development process that involves several studies and extensive market research. NaiLuv provides customers with the finest and most practical choices in nail care and technology. Paul Brown: This global brand features an extensive line of professional hair care products and six successful salons and day spas throughout the Hawaiian Islands. 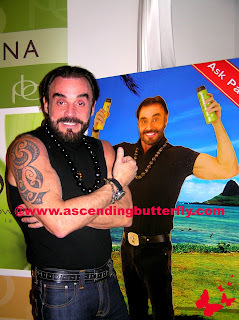 Master hairstylist, educator and businessman Paul Brown launched his hair care system in the late 1980s to provide hair care solutions for all types of hair, in all cultures. Incorporating natural Hawaiian plant and sea essences, this system includes high quality shampoos, conditioners, other hairstyling products and appliances. Brown is credited for introducing the thermal straightening system and one of the first flat irons to the U.S. Paul Brown Hawaii products and services are now offered worldwide, while being sold exclusively in professional salons and spas. Much like Dossage's CEO, Paul was so enthusiastic and so open that I would like to feature them separately from this recap, so stay tuned, I wanted to make sure you put not only the beauty products, but the flat iron on your hair radar! Skin Laser and Surgery Specialists of NY and NJ: David J. Goldberg, M.D. 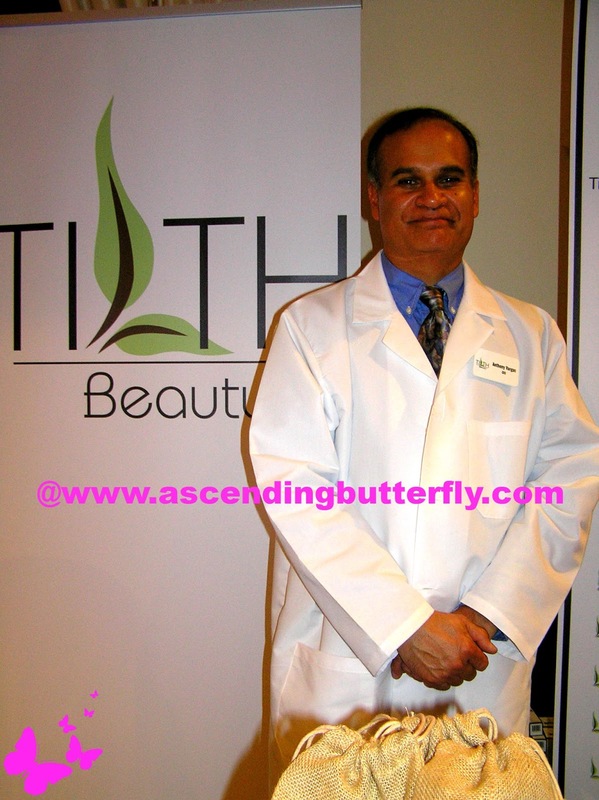 is recognized nationally and internationally for his innovative work with skin lasers, cosmetic dermatology and facial rejuvenation techniques. A board-certified dermatologist who has been in practice since 1985, he has treated patients and taught doctors throughout the world in the use of these cutting-edge technologies. Under his direction, Skin Laser and Surgery Specialists of New York and New Jersey has been a pioneer in making skin laser and cosmetic dermatology technologies available to the public. Tilth Beauty: Based on three decades of experience, research, and development, Tilth Beauty is a natural-based, high-performance skincare line. Each product has been painstakingly crafted with a unique and potent blend of botanical and industry-proven ingredients without ANY potentially harmful elements commonly found in most skincare products. The result is beautiful, vibrant, radiant, youthful and healthy skin. 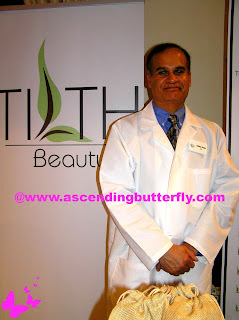 No other skincare product on the market comes close to what Tilth Beauty does. We do not use any parabens, phthalates, sulfates, petroleum -based products, silicones, synthetic fragrances or GMO’s, animal/dairy derived products, or artificial colors. HBA Global: HBA Global Expo and Conference, is the most important product development source from concept to market–for the cosmetics, personal care, skin care, fragrance and wellness industries and features a comprehensive educational program and exhibits floor with attendees coming from the top prestige, mass and emerging beauty and personal care brands worldwide. The Wellness Center of NY: The Wellness Center of NY provides services and solutions for individuals who seek to improve their health. 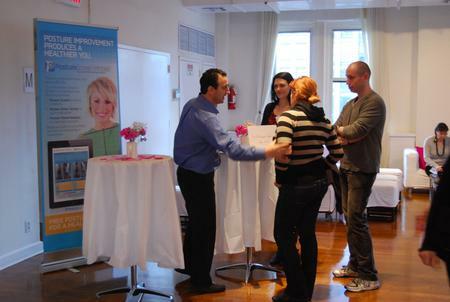 Meet Dr. Fishel and learn how to improve physical beauty through good posture, happiness, tension relief and overall well being. The Wellness Center Of New York is located in midtown Manhattan providing Natural health care including Physical Therapy, Chiropractic, Nutrition and Alternative Medicine. Dr. Craig Fishel, Chiropracter and Wellness Educator, Founder and Director of the Wellness Center of New York in Manhattan is board certified and a member of the New York Chiropractic College Alumni Association. Education is Dr. Fishel's passion. Pain relief is one of the great side effects of his care, but the true benefit is general well-being, medical knowledge, and a sense of community. Have you tried a 'new to you' beauty product for the New Year butterfly? If so, please share! Seem's like a great bunch of products I'd love to see more on paul brown's hair care. I will definitely feature as many of the brands in more detail as soon as possible! What a wonderful lot of information! I'm just like you when it comes to fragrance... all or nothing. 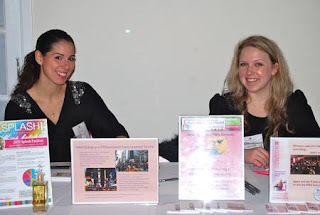 @mail4rosey - I like for the readers to feel they are at an event with me, so I try to make my recaps as extensive as possible. Fragrance like most art is so very subjective and it's bit hard to relay just how wonderful a fragrance really is in the absence of 'smell o vision' but who knows with the rate technology is moving, someone may be working on it already I'm sure! Thanks for visiting from the Thursday's Favorite Things Hop, it's one of my personal favorites as well!